Lansdowne Street | This blog summarizes the balls and other various items I have snagged at Red Sox games (starting in august of 2008), and also tracks the Red Sox season. This blog summarizes the balls and other various items I have snagged at Red Sox games (starting in august of 2008), and also tracks the Red Sox season. So Griffey and the White Sox come to Boston in late August. 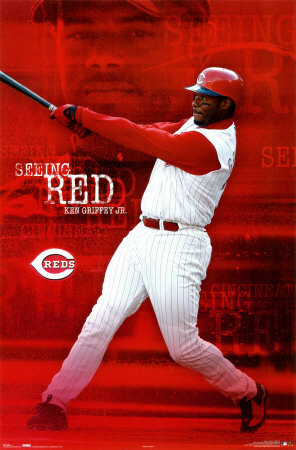 My goal would be to catch a game homerun from Ken Griffey Jr. Studying patterns on hittrackeronline.com, it appears Griffey’s average homerun goes 404 ft and at a 60 degree horizontal angle. For Griffey at Fenway, its obvious Im going to have to go into the game, and not be able to catch one on Lansdowne Street becuase he’s a lefty. My question to anyone reading would be would you try and sit just behind the bullpen, centerfield, or right to the left of the bullpen where the seas face the field and dont have the bullpen in front of them (basically closer in to Peskys pole. That 60 degree angle is right near where the bullpen begins, so where would anyone suggest to sit if I want a legit chance. game road hitting streak into tonights game. Let’s hope he can keep it going. score holds up, and the Sox pick up another game on them. The Yanks and Rays both lost the other night, but the Sox lost as well. Ahhhh, we just can’t seem to ever pick up a game on these pesky Rays as it has been stuck on 3 for a while. The Sox have the lead right now as we speak, and I have to say that Dustin Pedroia has been tearing the ball up ever since the all star break. He is now sixth in batting average in the league and also carrys a 25 game road hitting streak into tonights game. Let’s hope he can keep it going. Anyways, I really would not mind if the division played out this way. The Rays and the Sox would both make it to the playoff, and I really would not care if we were the wild card, as long as we were not beaten out by the Yanks. We won it in 2004 as the Wild Card and teams in the past have shown the WIld Card can succeed in the postseason. If your in the playoffs anything can happen. And also it would be kind of cool to see the Rays in the playoffs, so again, if the division plays out this way, it really would be fine. Lets hope the Yanks stay in third. They are losing right now to the Rangers 2-0, so let’s hope that score holds up, and the Sox pick up another game on them. I will be attending the annual Futures at Fenway game this Saturday August 9th. I attended it last year, and let me tell you , it was ball heaven. I stayed at on Lansdowne for half of batting practice but no balls came over the mosnter, so I decided to look for tickets. Luckily I found a scalpar right away on at the croner of Brookline Ave and Lansdowne. He sold me a ticket for 5 bucks….Sweet!!! So I headed into the game, not rlly knowing what to expect. I went over to the third base dugout, and went to the first row. I looked under a seat and there was a baal under there. Nice… Anyways I put that one in my bag and asked a player for another one, and he tossed it to me right away. I then went to left field where the pitchers were warming up, and hollered for a ball. They all ignored me. I waited for 15 minutes and they finaly finished tossing it around, and I yelled at them as they left, and one of them tossed it to me. this kid reached out in front of me and knocked it away. the ball trickled to my left and there was a quick scramble for it, but I was able to get the ball. Then at the end of the game, I went to home plate where nine balls were stuck. it ws pretty empty so I started knocking them down with my glove. This kid saw me, so he started to help. We got them all down and asked a player to give them to us. I snagged five of these and the kid that helped me grabbed 3. The player took the last ball back with him for some reason. Anyways I was tired and craving a Boom Burger from UBurger, so I decided not to stay for the second game, as I was not expecting to even attend the first one. So last year I snagged a grand total of five balls. This year I bought tickets in advance and hope to have the same type of success. I will post pictures and other things after the game (s) on Saturday. Here are some random baseballs that I have snagged on Lansdowne Street during bp during the 2008 season. Here is a picture of a hat a recieved back in 2006. It was after a Red Sox win over the Devil Rays. I ran over to the visitors dugout like I always do after games to ask various players for items. Carl Crawford and others simply walked by me, and it appeared I would end up with nothing besides the ball I had gotten during bp earlier that day. Every Devil Ray had left, then Toby Hall came out from underneath to help clean out the rest of the dugout. I yelled “Hey Toby could I get your hat.” He turned over and looked at me. Then he took it off and threw it into the crowd. There was only a few other people around me, and I simply jumped up in the air and made the snag. Nice!!! my first major league game worn hat…!!!!! although the team played pretty well with Bay batting in the five slot this weekend en route to a sweep of the A’s. The team seems very rejuvenated with the trade of Manny, so that is a good sign that there will be baseball in October here in Boston.